Jewish groups boycotted the Argentine government's Holocaust Day commemoration Tuesday in protest over the mysterious death of prosecutor Alberto Nisman, while skepticism grew over President Cristina Fernandez's plan to reform intelligence services that she has suggested were behind the prosecutor's death. The annual commemoration, which is normally co-hosted by the government and several Jewish groups, was to be held Tuesday night at the Foreign Ministry. Shunning the official event, Jewish leaders and about 500 people gathered earlier in the day for a ceremony at a Jewish community centre that was bombed in 1994, killing 85 and injuring more than 200. 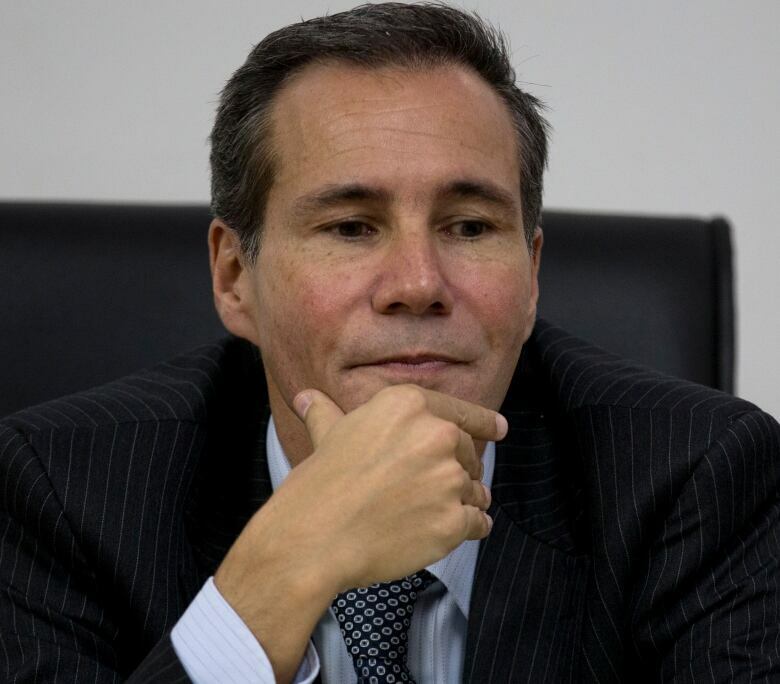 Nisman was investigating that attack and had accused the president of plotting to shield Iranian officials blamed for the car bombing. "In honour of the victims, we are not going to share a table with those who don't give us the truth, much less justice," Mario Comisarenco, treasurer of the Delegation of Jewish-Argentine Associations, said during a ceremony that involved prayer and lighting candles. Nisman was found shot dead Jan. 18, the day before he was to testify before Congress to elaborate on his accusations that Fernandez helped Iran's government cover up its alleged involvement in the attack in exchange for favourable economic deals. 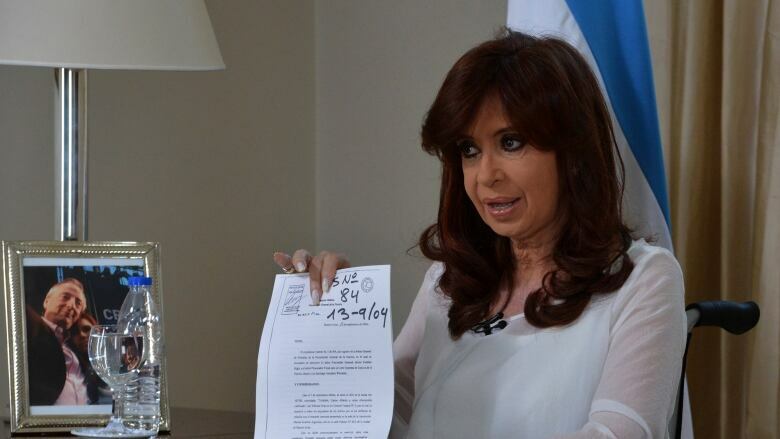 Iran has repeatedly denied any role in the attack, and Fernandez rejected Nisman's charges. In an hour-long televised speech Monday night, Fernandez called for Congress to overhaul Argentina's intelligence services. She planned to present a reform bill by the end of this week. She said that only a few government officials would have access to the heads of a new "Federal Intelligence Agency," apparently a critique of a system where many in Congress have contact with intelligence officials. Opposition leaders rejected her proposal, and noted Fernandez already has oversight of the country's spy agencies. "The Intelligence Department is not going to change with a modification of its name," said Buenos Aires Mayor Mauricio Macri, who is considered a leading potential presidential contender for October elections. "The change will happen if power is exercised differently." In her speech, Fernandez did not say who killed Nisman, but suggested rogue intelligence agents might have orchestrated his death in a plot against her government. Nisman's death has particular resonance in the Jewish community, one of the largest outside Israel. Many fear his death makes it less likely that families of bombing victims will ever get justice. While government officials had previously labelled Nisman's allegations of a cover-up as absurd, Fernandez's speech was the first time she took them on directly. "It's unreasonable to think our government could even be suspected of such a manoeuvre," Fernandez said while sitting in a wheelchair because of a broken ankle. Nisman's death has produced anti-government protests and myriad conspiracy theories, ranging from suicide to the involvement of Iranian intelligence agents. Fernandez noted in her speech that her predecessor at president, her late husband Nestor Kirchner, appointed Nisman to the case after years of paralysis. Authorities said that Nisman's remains will be handed over to his family on Wednesday and buried on Thursday.